Born and raised in the river city of Saint Louis, Paul Niehaus IV has been a freelance musician since he graduated from Truman State University in 2009 with his BA in music with a minor in Folklore. He is proficient in guitar, bass, keyboards, and drums...and has additional experience on harmonica, mandolin, French horn, trumpet, and saxophone. Paul has performed in over 45 US states, plus Mexico, Canada, and a 5-month stint on a cruise ship. Paul has served on the Board of Directors for the Saint Louis Blues Society since 2014, and has produced four celebrated compilation albums for the group, 15 in '15, 16 in '16, 17 in '17, and 18 in ’18. He has also co-produced two permanent blues-oriented museum exhibits, one for the National Blues Museum (in STL) and one for the Mississippi Arts and Entertainment Experience (Meridian, MS). In 2016 Paul founded the Blue Lotus record label, specializing in Soul, Blues, Folk, and Americana. The label just released its 6th release. Paul is the operator of Blue Lotus Studio, an audiophile-oriented recording studio in his basement in Saint Louis. 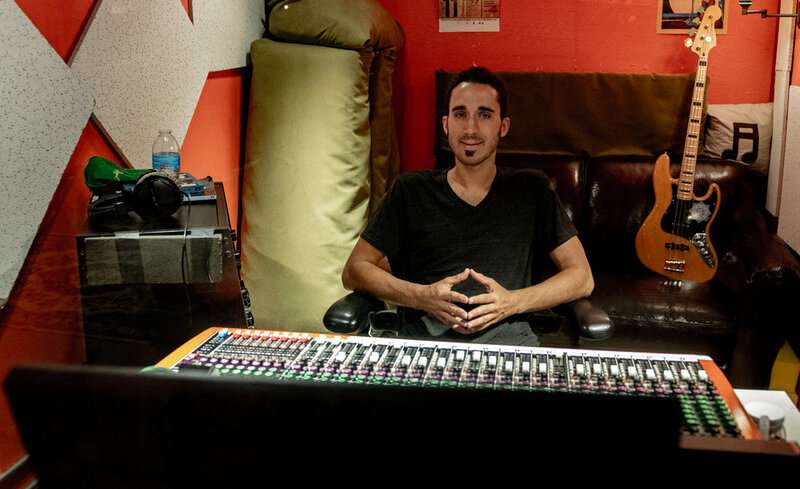 He loves natural and hi-fidelity tones in the studio, and strives to cultivate an environment in which artists can get creative and be themselves.